Vivienne Plumb is a writer of Australian and New Zealand heritage, based in Wellington, she writes poetry, fiction and drama. 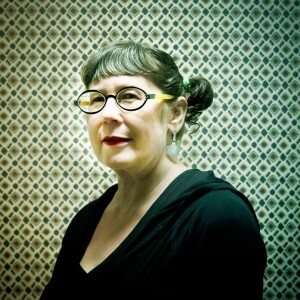 She has been the recipient of many awards including the Bruce Mason Playwrighting Award, the Hubert Church Award (for fiction), first place in the N.Z. Poetry Society international competition, and a Sargeson Fellowship. More recently she was the 2014 Ursula Bethall writer-in-residence at the University of Canterbury, Christchurch; and has also been a resident writer in Sydney, Hong Kong, Nebraska, and on the University of Iowa’s International Writers’ Programme, U.S.A. Her poetry collections include Salamanca, Nefarious (poems and parables), Crumple, Scarab (a chapbook), and The Cheese and Onion Sandwich and Other New Zealand Icons (prose poems). Her work has been published in N.Z. and overseas and has been translated into Polish, Mandarin, Slovenian, German and Malaysian. She also works teaching and mentoring creative writing students, and holds a Doctor of Creative Arts (Australia). She has acted as a judge for many N.Z. poetry competitions including for the N.Z. Poetry Society and for the annual N.Z. Flash Fiction competition. Plate in the Mirror 2016 – poetry competition judge.